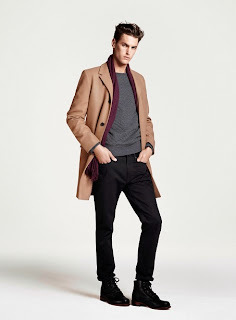 Club Monaco Fall 2013 Ready-To Wear collection ad campaign was shot by renowned British fashion photographer David Sims. 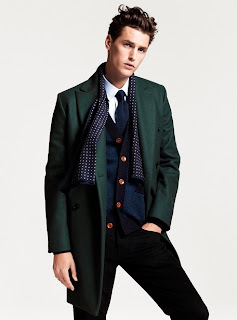 Sims, returns to Club Monaco after more than a decade, bringing his discerning eye to one of the most celebrated fashion brands. David Sims amongst other photographic visionaries’ including Bert Stern, Patrick Demarchelier, and Richard Avedon all contributed to creating Club Monaco’s iconic black and white photography. With Sims use of minimal backgrounds and flat studio lights, it was natural for the brand to once again collaborate with him for Fall 2013, as the brand evolves its iconic imagery from black and white into color. For women, timeless styles and shapes are re-worked in traditional fabrics like eyelet, cloqué, and lace, incorporating more structured fabrics like bonded cottons, quilted pieces, double knits, jacquards, and neoprene for extraordinary contrast. Eccentricity and clean lines run throughout the collection and are accented by unique details such as faux texture patterns, unexpected trims, and bold pops of color in African prints. The Men’s Collection also explores modernity combined with mixed media in daringly updated classics: casual tailored pieces are mixed with cool knits; 1960’;s inspiration is reinterpreted in modern silhouettes; and traditional styles are infused with a nod to hi-tech functionality. 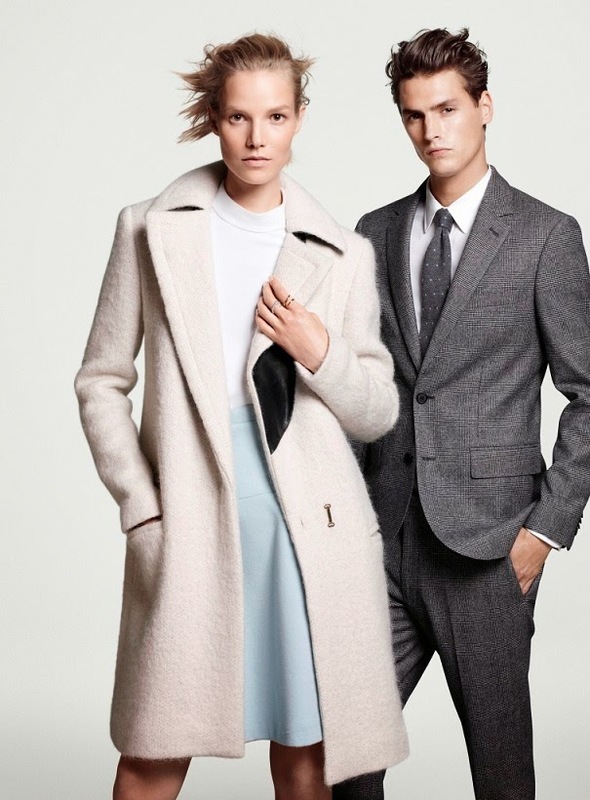 Featured models Suvi Koponen and Mathias Bergh, have been selected to sport the Club Monaco classics in the campaign.